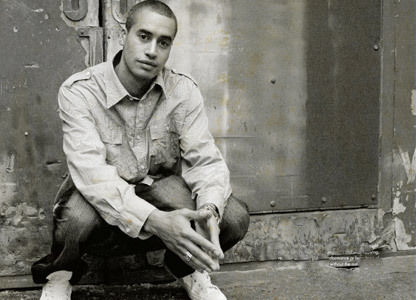 It’s been a while between albums for Ruben Campbell, Australian hip hop artist more commonly known as RuCL. He’s just released his new album, Brimstone and Fire, this August, a long time since his debut album in 2005. For Campbell, finally releasing the latest project was a major goal in itself. Brimstone and Fire according to Campbell, comes at a new stage in his life. ‘I think its definitely different. It’s matured a lot. I’ve matured as an artist. I’ve just had time to really just write this album. ‘I think with the other album (Straight Down the Line), [it] happened at a really interesting stage for me. I lost my father, wasn’t long after that I was still grieving, but not long after that I was dying to get into it. Which was really hard for me, but it was an amazing experience as well because I really needed that escapism in a way,’ he says. ‘But I think this time it was a more straight up hip hop album, it’s deliberately meant to be like that. Capturing that kind of classic hip hop feel to make it feel current. I’m really happy with this album and I think I worked very hard on it. I did a lot of songs, chose some of the songs that we thought would work on the album. It’s a new album, it’s always good to have more product, try to get updated and keep it quality. RuCL is a heavyweight in the Australian hip hop scene, with his new album enlisting the help of long time friend and collaborator, Katalyst. ‘We work together quite well. We have a few things in common, especially with this album, we had the same sort of thing in mind. We wanted to make a classic hip hop album. Campbell’s new track ‘Good Life’, after a few rotations in the internet sphere has been getting some attention. For Campbell, the internet has fostered a booming Australian hip hop scene. RuCL in the meantime, since his debut album in 2005, has dabbled in MC’ing and mixtapes, as well as a number of other creative ventures. But what’s abundantly clear is that the self-described ‘Jah-stralian’ (a tribute to his Jamaican and Australian heritage) is hugely influenced by his family and his culture. Campbell studied at the Jamaican school of music, something which clearly influences his music today. ‘It was just amazing, not just to be close to my culture, but to be amongst musicians and other creative people. It was a school that specialises in art. It was definitely a huge influence,’ he says. ‘Just watching other people really helped me to see how it works, it was professional musicians and who played with a huge band. I’d see how they work, how dedicated they were, how much practice went into it and it was very inspiring just talking to them, connecting with them. As for how he sees his own music, his message is simple: ‘I do talk about things that are close to me, that I’m passionate about. Things that people should hear, state the facts about, you should be aware of where you’re living, all that sort of stuff. ‘I don’t tend to be too political, I just want to speak my mind, just speak how I feel about things. … definitely about thinking individually and not following. I think that’s the message – just be yourself, be aware and unfairness isn’t cool. RuCL’s album, Brimstone and Fire is out now. This entry was posted in Music and tagged hip hop, ruben campbell, RuCL. Bookmark the permalink.